The cleaning sprays and other cleaning products contain lots of chemicals that can prove to be toxic. The smell of it can prove to be harmful. Also, they can cause allergy or some kind of reaction if your skin comes in touch with them. 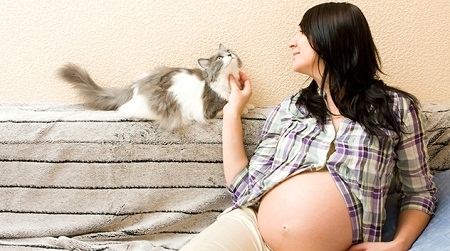 Some researchers have found a possible connection between the use of household cleaners during pregnancy and childhood respiratory problems. Also cleaning would involve bending or moving heavy items. So whether it is general cleaning, kitchen cleaning or bathroom cleaning, avoid it. This one is a complete no-no. Cleaning of ceiling fans requires climbing and is very risky. There are chances of losing your balance and falling from a ladder. Also with belly growing and it's straining your back, the chances of losing balance are more. This is because the pregnant women go through a change in their center of gravity. 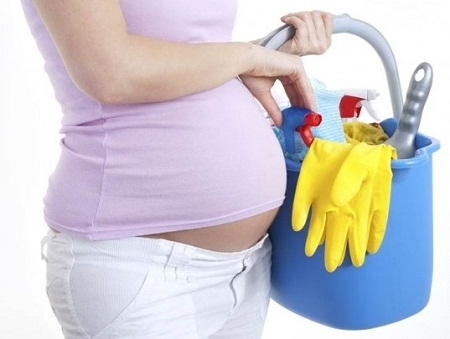 Mopping is another household chore that a pregnant woman should avoid. Mopping may lead to intensifying of sciatica, which is a painful inflammation of the sciatic nerve. Also mopping would make you bend forward and backwards, which can affect the fetus. Hence it is advisable to avoid mopping. 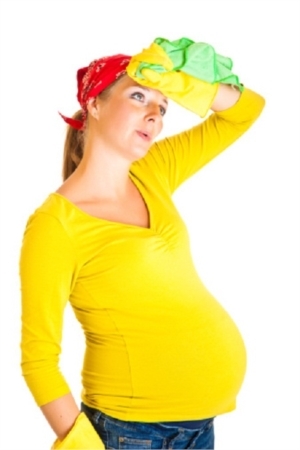 During pregnancy your smelling sense is heightened and hence you may feel sensitive to fragrances that come from detergents. Also, there is a probability of suffering a reaction from these detergents. Sure, there are many eco-friendly detergents available which are not very strong, but the probability is always there. 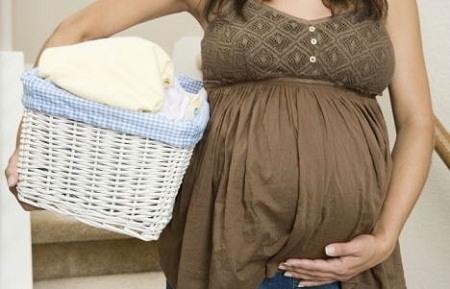 The entire process of bending to pick up the laundry basket, carrying the laundry basket, hanging clothes and so on is very risky and can sometimes lead to premature labor. 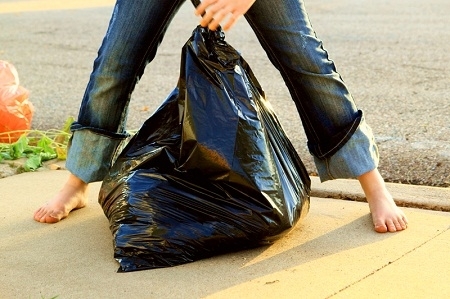 Taking out the trash involves bending and picking up the dustbin. Also the fumes and smell from all that trash can prove to be harmful. The bending and carrying of the bin can put a strain on your stomach and back. Once in a while it might be ok if the bin is not too heavy, but it is better to pass on the job to someone else.